Former New York City Mayor Michael Bloomberg speaks during a news conference after touring the Paulson Electric Company, Tuesday, Dec. 4, 2018, in Cedar Rapids, Iowa. "I think at my age, if selling it is possible, I would do that," Bloomberg said. "At some point, you're going to die anyway, so you want to do it before then." 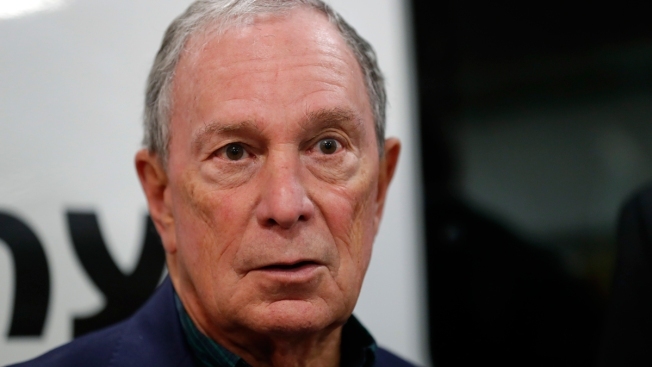 Bloomberg said he would have to start the process of either selling or putting the business into a blind trust if he ran because any process would take a long time. But he won't sell the business unless he actually becomes president, according to a person familiar with the matter. Michael Bloomberg gives $1.8 billion to Johns Hopkins from CNBC. Bloomberg takes in about $10 billion in annual revenue, according to a source familiar with the matter. The company would probably fetch more than $40 billion in a sale, according to two investment bankers familiar with the company's finances. There aren't many companies large enough to absorb Bloomberg that make sense as buyers. The most likely option for a sale, said the bankers, is a consortium leveraged buyout deal. Private-equity firm Blackstone acquired a majority stake in Thomson Reuters's financial information business, which competes with Bloomberg, in a deal that valued the unit at $20 billion earlier this year. Still, club private-equity deals aren't nearly as common as they were a decade ago. Many of those transactions led to huge losses after the financial crisis. A leveraged buyout of Bloomberg would likely be the largest in history, topping the $32 billion acquisition of TXU led by KKR & Co. and TPG in 2007. Google and Amazon both have the balance sheets to acquire Bloomberg. But Google's primary revenue stream and area of expertise is advertising sales related to its search business. That's not Bloomberg's business at all, which derives its revenue from selling pricey subscriptions (about $22,000 a year) for its financial news and information service. Amazon has aggressively moved into may different business verticals, including media, retail and health care, to gain an ever-growing customer base. But Bloomberg's clientele are largely professional and relatively small in number, compared to the millions of consumers Amazon covets, so that may not be a clean fit either. Financial institutions, such as JP Morgan or ICE, could see value in Bloomberg, but the likely conflicts that would occur if a transaction took place would erode the company's value.